Russia's Soyuz MS-02 spacecraft carrying three crew members has docked with the International Space Station's (ISS) Poisk module two days after its launch, the Russian Mission Control Center said Friday. On October 4, Russia marks the anniversary of the Space Forces established to ensure the security of Russia in space. 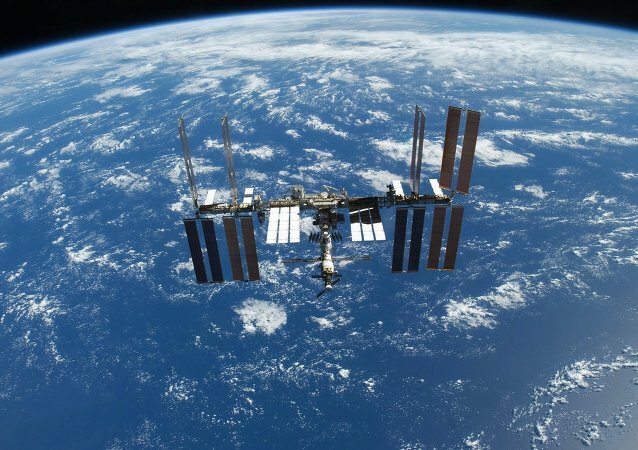 The state commission at Baikonur Cosmodrome has approved the new International Space Station (ISS) crew and set the launch date for July 7. 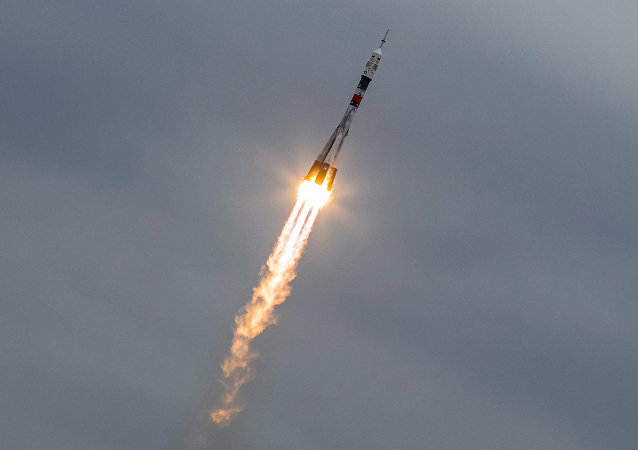 Russia has launched the Soyuz TMA-20M space vehicle carrying three new crewmembers to the International Space Station (ISS), a RIA Novosti correspondent reports. The Exomars spacecraft has sent its first signal back to Earth after it was launched from the Baikonur Cosmodrome in Kazakhstan on Monday. The first in history Russia-EU mission to Mars takes off from the Baikonur Cosmodrome. ExoMars, the first joint ESA-Roscosmos mission to the red planet to search for the presence of life, will take off on Monday at 09:31 GMT from the Baikonur Cosmodrome in Kazakhstan. The Center for Operation of Space Ground-Based Infrastructure of Russian space agency Roscosmos has announced a tender for air carriers interested in conducting regular flights to the Baikonur space center, the Russian Izvestia newspaper reports. The Russian Proton-M carrier rocket with the Express-AMU1 communications satellite was launched from the Baikonur space center in Kazakhstan, a representative of Russia's space agency Roscosmos told RIA Novosti. The launch of the Russian Proton-M carrier rocket with the Express-AMU1 communications satellite was postponed amid bad weather conditions, a representative of Russia's space agency Roscosmos told RIA Novosti. According to a Roscosmos spokesman, a new, modernized Progress MS spacecraft was launched to the International Space Station (ISS) at the scheduled time. 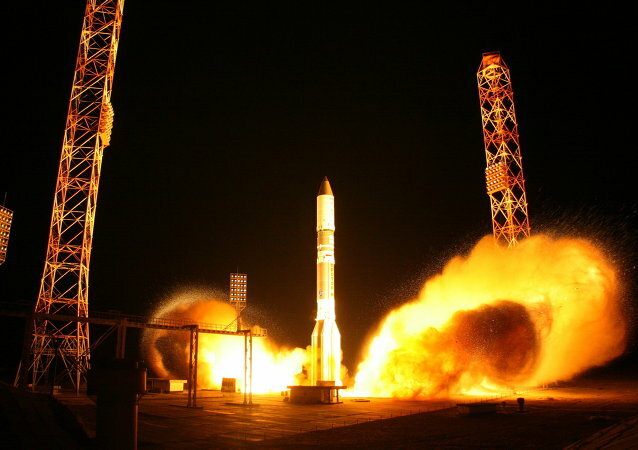 According to Russia's Defense Ministry, a military satellite launched on the Proton-M carrier rocket has been put into orbit. The launched communications satellite will have an active lifespan of 15 years and will be operated by the Russian Satellite Communications Company. 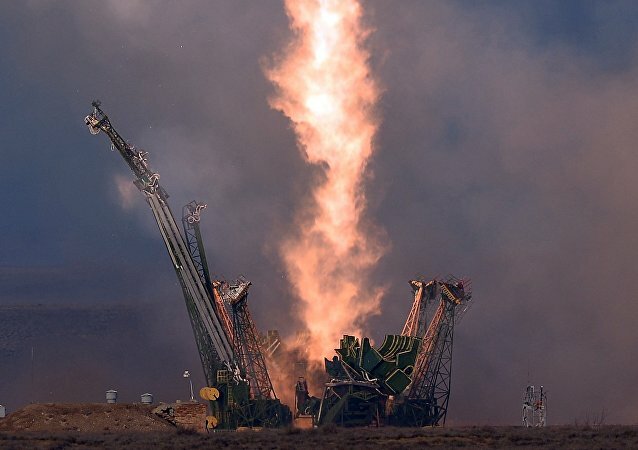 The state commission at Baikonur Cosmodrome has approved the crew of the latest expedition to the International Space Station (ISS), a spokesperson for Roscosmos told RIA News Wednesday. The carrier rocket Proton-M with the Luch spacecraft onboard has been installed on the launch pad at the Baikonur space center, Khrunichev State Research and Production Space Center representative told RIA Novosti on Tuesday. The first of the two NATO Viking spacecraft was launched into orbit on August 20, 1975. Later it successfully landed on Mars and analysed its soil. Experts managed to restore communication with the Russian satellite Foton-M, a source in the space industry told RIA Novosti. A Russian Progress M-24M cargo spacecraft, sent off into orbit from Baikonur space center early on Thursday, has successfully docked with the International Space Station (ISS), a representative of the mission control center in Russia told RIA Novosti. Scotland’s first ever space satellite will be launched today aboard a Russian Soyuz rocket that will blast off from the historic Baikonur cosmodrome. Russian Prime Minister Dmitry Medvedev has signed a decree allowing foreign personnel to participate in launches at the Baikonur space center in Kazakhstan.